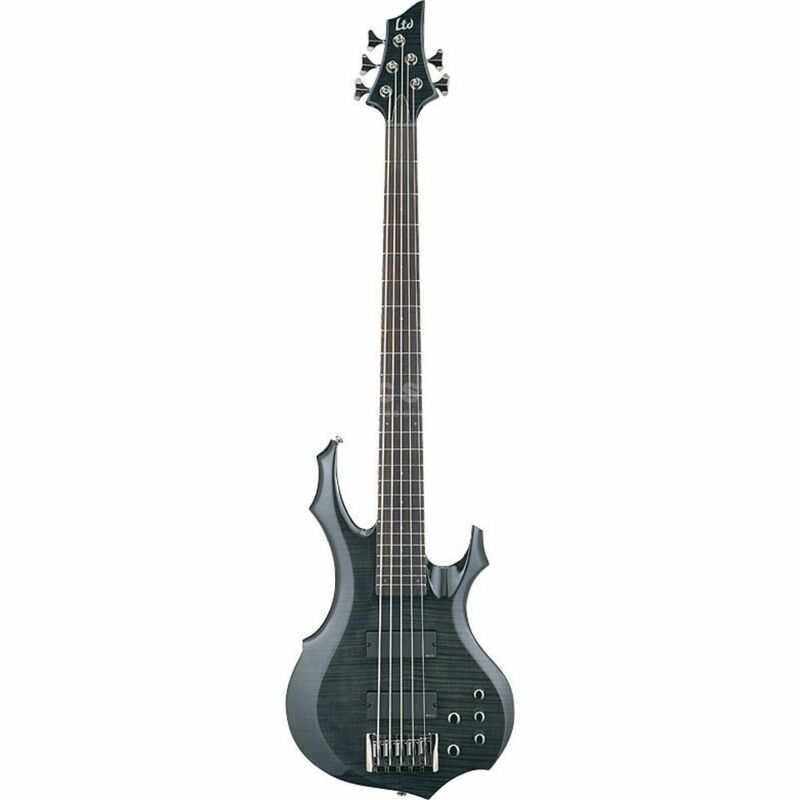 The ESP LTD F-415FM 5-string Bass Guitar, See Thru Black hails from ESP's standard & deluxe F Series, offering great tone with unmatched design. The ESP Guitars LTD F-415FM is an amazing value for money 5-string bass guitar, offering a mahogany body with a flame maple top, a 5 piece mahogany-walnut neck thru body neck, topped with a rosewood fretboard. Two EMG 40DC humbucker pickups on the neck and bridge position and an EMG B64 3-band EQ system provides the ESP LTD F-415FM with its aggressive growl! The Bass Boost/Cut, Master Volume, Mid Boost/Cut, Treble Boost/Cut and Balance controls provide the LTD F-415FM with a wealth of tonal capabilities.